This newly renovated resort lies along the silky white sands of a beautiful bay on the north coast, just moments away from the quiet fishing village of Grand Gaube and is where eclectic retro-chic meets barefoot luxury. 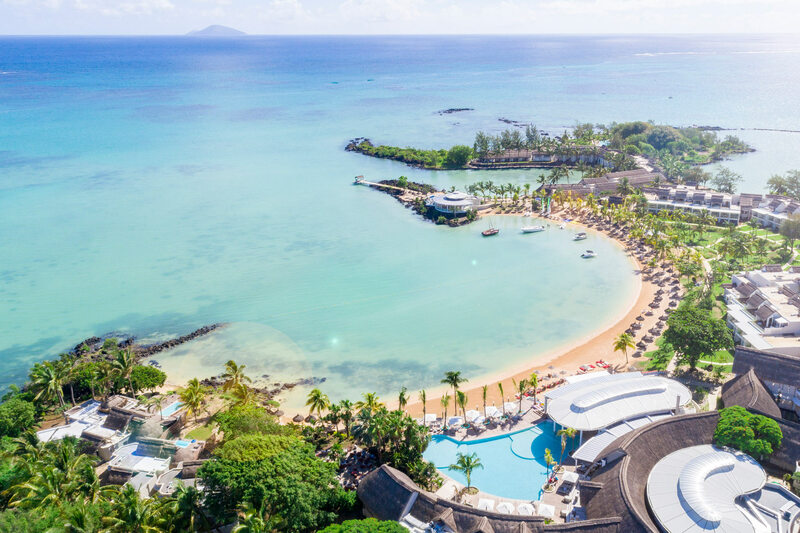 Amidst lush tropical gardens and enveloped by undulating coves, the calmest of lagoons and two tranquil beaches, there's an abundance of places to relax or refuel and extensive sports and wellness facilities, including a sensational new spa. Generously proportioned rooms and showstopper villas designed by Kelly Hoppen all come complete with Indian Ocean vistas. In ground or first floor superior seafacing rooms with rain shower, mini bar, safe and balcony or terrace. Ground floor junior suites with a lounge and direct access to the beach. Romantic junior suites which are on the second floor and designed for couples with a spacious balcony featuring chill out loungers and an outdoor bath. Family suites, which have a large double sofa bed for children in the separate lounge. Early booking 15% room discount: On selected dates between Aug 18-Jan 19. Up to 35% room discount: If you stay between 4-6 nights discount is 20%; if you stay between 7-10 nights discount is 25%; if you stay between 11-20 nights discount is 30% and 35% if you stay at least 21 nights. FREE full board: O1 Aug-23 Dec 18 if you book by 31 Aug 18 and book half board, receive FREE full board. In addition, receive one 45 minute massage per adult per stay. Family offers: Children 0-11 years receive FREE return airport transfers. Children 0-5 years stay FREE, on same meal basis or first child 6-11 years stays FREE, including breakfast. Applies when sharing a room with two adults. Honeymoons & wedding anniversaries: Receive one cooking class and one partner receives 60%suite discount, or if staying in a villa, the couple receive a 30% villa discount. If you stay at least 10 nights also receive a 45 minute massage at the spa.